Pioneer Moto Corp Pvt. Ltd has launched the New model of Datsun car named DATSUN GO with the moto "GO UPGRADE YOUR DREAM" with 3 years Free Service and Warranty. 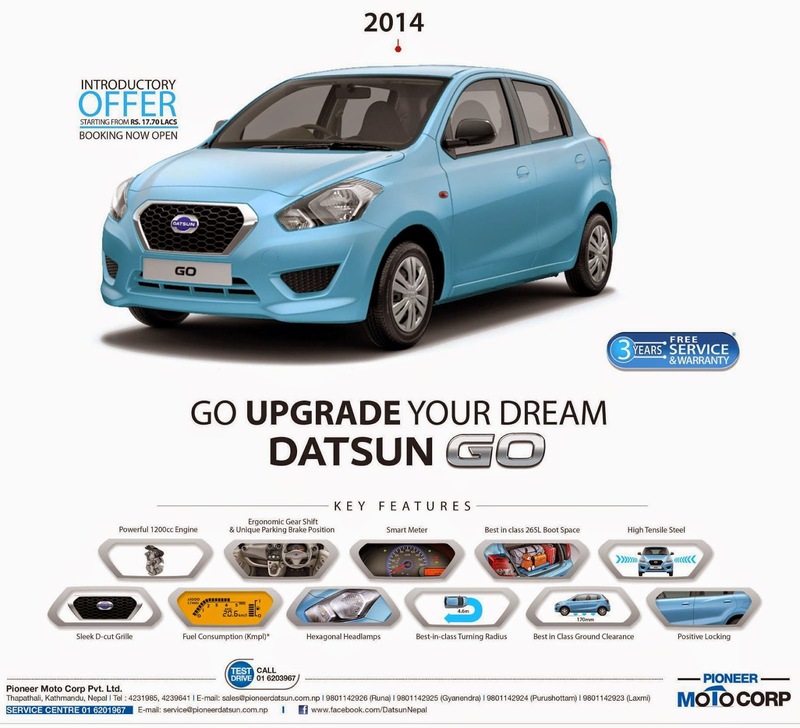 What's the pric of Datsun GO plus price and how much will it cost me on EMI basis? what is financing scheme for datsun go? I mean how much down payment and how much installment and how many years? plz. saw your add on 10th April on Kantipur..Knew 20% down payment at interest rate of 4.9% whose price is 19.99. Is this correct? Are there any other hidden charges? how much should i pay initially and what is the emi?